Welcome to the campx.ca website which is intended to reflect a portion of my personal collection of items/artifacts which relate to cryptology, vintage clandestine or espionage tradecraft, and communications technology particularly equipment used by the major powers during the Cold War and by the Canadian military during WW-II. This collection has been accumulated over the last 20 years or so. 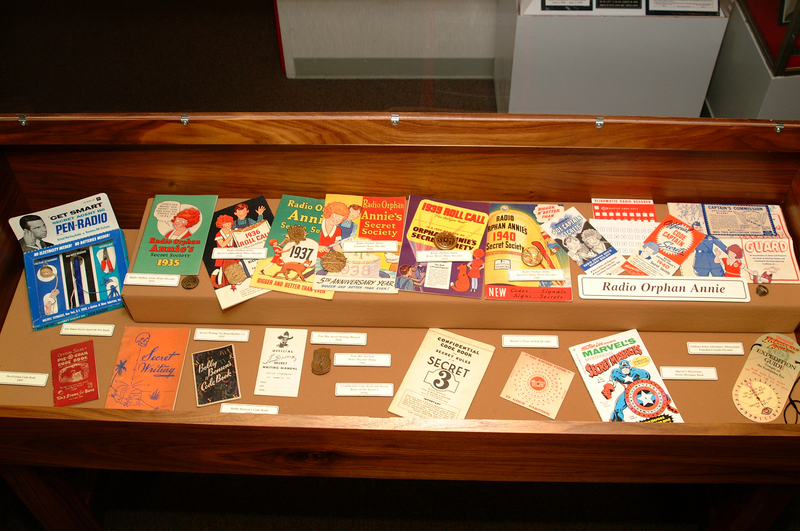 You will also notice an emphasis on vintage children's decoders and spy toys over the years starting with the decoder badges and instruction manuals associated with Radio Orphan Annie and Captain Midnight starting in the 1930's with radio reception become popular especially in American homes. In August 2011, I retired from the Government of Canada here in Ottawa after a 31 year career mainly as a mathematician and as a manager. If you are interested, here is a somewhat updated biography which was originally put together for the Cryptologic Symposium's website - this biennial symposium has been held in March of 2012, 2014, 2016 and 2018 in Charlotte, North Carolina. 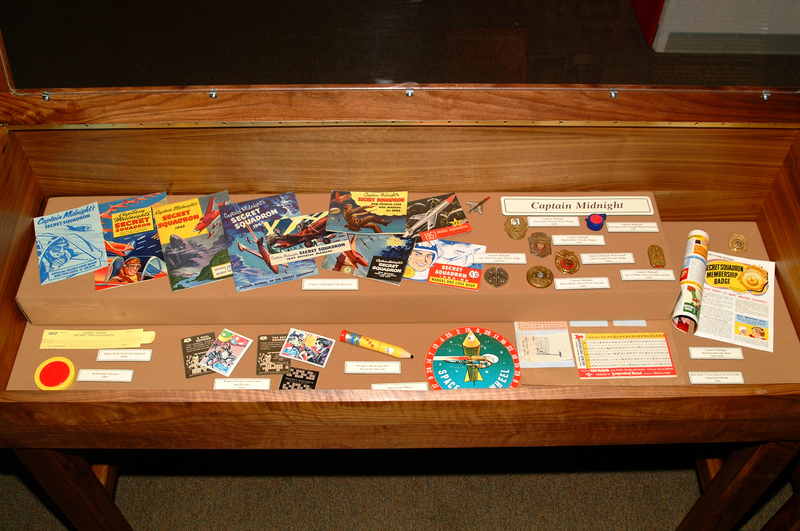 From September 1999 to April 2000, a partnership was struck with the Canadian National Museum of Science and Technology to put on exhibit vintage cryptographic devices (notably Enigma) and children's secrecy items such as decoders from Captain Midnight and Radio Orphan Annie eras. In late 2001, advice and equipment were provided to GAPC in the production of Secret Secretaries which was a one-hour feature of women who worked at BSC (British Security Co-ordination) for Sir William Stephenson during WW-II. Credits also acknowledge CSE as contributing a 4-rotor naval Enigma. It aired on May 2nd and May 4th 2002 on WTN (Women's Television Network) in Canada. One can play a short video clip (about 2 minutes) of Secret Secretaries at this other GAPC website. 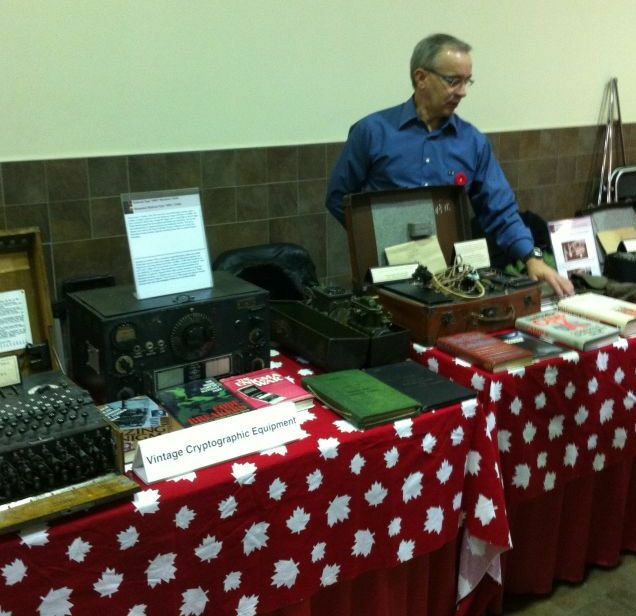 Another partnership ensued with the Diefenbunker in Carp (near Ottawa, Ontario) to launch a "Spy Tools" exhibit. The Diefenbunker is also known as Canada's Cold War Museum. The exhibit was in place from February 2002 until early September 2002. 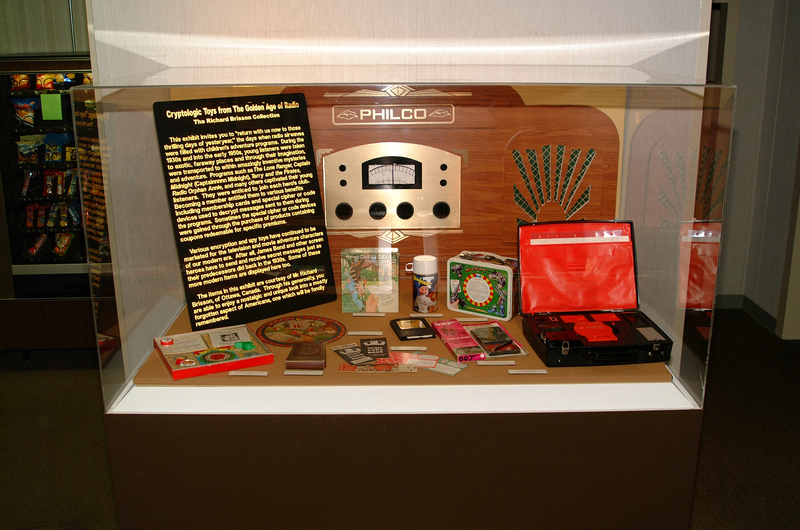 The display was expanded to a 2-room display to accomodate children's clandestine toys over the years - that included items such as Secret Sam, Batman cards, James Bond, Spiderman and Get Smart. A local television station CJOH aired a short piece related to this Diefenbunker exhibit and this collection on 27 April 2002 during "Regional Contact". It was great fun and entertaining to have done this with host Joel Haslam. In September 2002, part of the collection (mainly Cold War and cryptographic) were part of a display at the CASIS (Canadian Association for Intelligence & Security Studies) 2002 conference in Ottawa. This was in concert with other displays by CSE and CSIS. 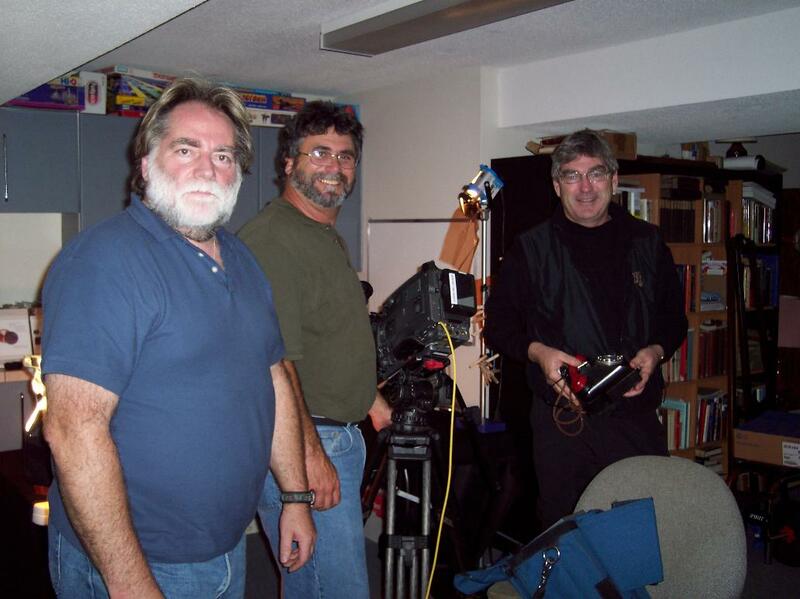 On 26 September 2003, a MidCan production crew took footage of a number of artifacts (crypt and clandestine from WW-II) which will be part of a 1-hour feature titled "The True Intrepid" which aired on June 5th 2004 on Mystery Channel and again on July 17th 2004 on Global Television - please consult MidCan's website (bottom of their page). On the 1st of March 2005, a film crew from Breakthrough Films & Television visited to take photos of clandestine radios from WW-II, notably the B2 suitcase radio and code on silk. This was part of a production titled "The Secret Liberators" which aired later in 2005. For further details, please consult the The Secret Liberators website by Breakthrough Entertainment. On the 1st of March 2007, I took the B2 suitcase radio to the Marriott Hotel in Ottawa where a film crew from CBC/SRC Television took still photos of that clandestine transceiver. This is to be part of a production which focuses on German spies who landed on the eastern shores of Canada in WW-II. The documentary (titled "Les espions venus de la mer" in French) aired on the 21st of December 2008 on Radio-Canada (French network of CBC). For related details, please consult this section of the CBC Archives or Les Archives de Radio-Canada. The English version was first shown on CBC's "DOC ZONE" on 20 August 2009 - more details are available at this CBC link. 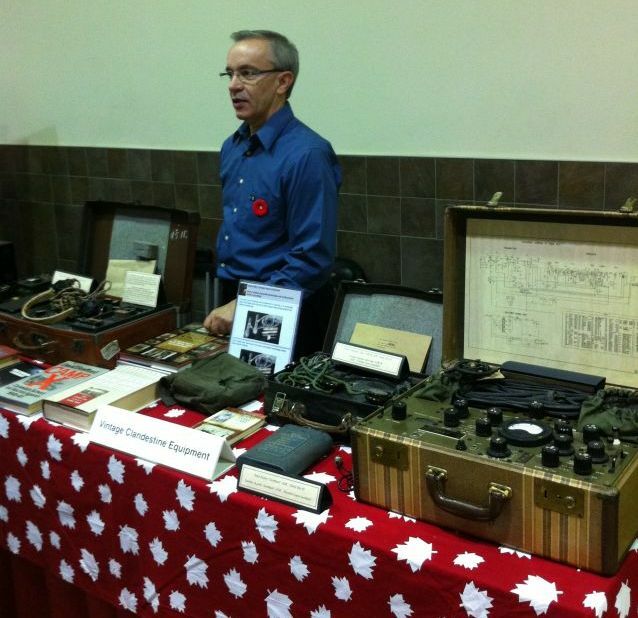 On April 2nd 2007, I was interviewed by Hallie Cotnam from CBC Radio's Ottawa Morning (91.5 FM) in Ottawa about Enigma and its history which you can click to hear it (it's an MP3). This was in advance to a talk on the history of Enigma and related books at the Ottawa Book Collectors Club that same evening - here's their schedule. On January 4th 2013, a 6-page article in Collection & Chineur (publication from France) featured a number of artifacts from my collection. Any content (original photos or text) which is displayed herein is for the strict viewing and educational enjoyment of those who visit this website. Other sites can link to content of this website or parts therein and must do so with appropriate and clear accreditation. The whole or any portions of photos and/or text herein or local to this website (i.e. which extend from www.campx.ca) must not be copied nor reproduced without the explicit consent of the author Richard Brisson at his spytools@sympatico.ca email address.